The Seattle indie rock band Death Cab For Cutie have been a staple of the genre for almost 20 years now and with the release of their 2015 album "Kintsugi", they only confirmed that status. 2018 then brought us their ninth studio album, "Thank You For Today", which brings a somewhat different lightness and openness to their sound while still retaining their trademark melancholy and poignant lyrics. In the end, there are good songs here but also an apparent lack of a collecting red thread. It leads in with the somewhat elusive "I Dreamt We Spoke Again" that has frontman Ben Gibbard’s vocals heavily soaked in distancing effects. 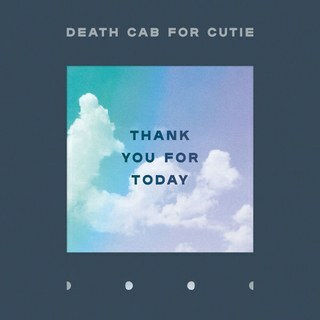 The song works well as a floaty dream sequence that pulls us into the world of the album and as always with DCFC, it is catchy and atmospheric. The song that stands out the most on the tracklist is arguably the very open-sounding “Gold Rush” that is very nostalgic but couples the lyrical themes with a very uplifting, lush sound. It gives the song an almost positive, chill vibe if you just listen to it in passing, and I can’t recall hearing something quite like that from the band before. Thus it stands as the most memorable part of the album for me, along with the simple song “60 & Punk” which chronicles an aging musician’s struggle which fans widely agree to be R.E.M.’s guitarist Peter Buck. It makes a surprisingly strong impact as the closer of the album with a dominating piano riff and a great vocal performance that has more nerve and presence than the other songs here. Through the album, songs like “Summer Years”, “Your Hurricane”, “Northern Lights”, and “Autumn Love” all carry on the more traditional melancholic vibe for the group and juxtapose it with sweet, transporting melodies and riffs. Especially “Summer Years” makes an impact as it introduces a steady, mercilessly forward-moving beat underneath dreamy synths and twinkling guitars. Little variations keep the song emotionally vibrant throughout its 4½ minute duration along with heavy insight in the lyrics like "Sometimes I'm overcome by every choice I couldn't outrun / The junctions all disappear / You can't double back to you summer years". The slow-paced and dreamy “Your Hurricane” paints a more heavily metaphoric picture with bits like "Heaven is a hole in the sky / The stars are cracks in the ceiling at night" while “Northern Lights” and “Autumn Love” each make their mark primarily through the intertwining of sweet melodies in the guitar and vocals. 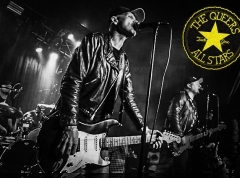 Several of them end a bit abruptly, though, and overall, the album doesn’t have a collective identity that’s as strong as many of the band’s preceding albums. While most of "Kintsugi" for instance had a certain weight and metaphorical red thread to it that really set it apart in their discography for me, "Thank You For Today" seems more like a jumble of songs. Sure, because the bandmembers are such good songsmiths, each song successfully sets its mood and there are little gems that sound important and meaningful scattered around the lyrics. Overall, though, there are too many of the songs that fall out of my circulation too quickly for it to really compete with favorites like “Transatlanticism”, “Plans”, or indeed “Kintsugi”.